We’re still under a serious EXTREME heat warning so I am NOT cooking, but focusing on salads this week. Whisk together the lemon juices, avocado oil, vinegar and honey. 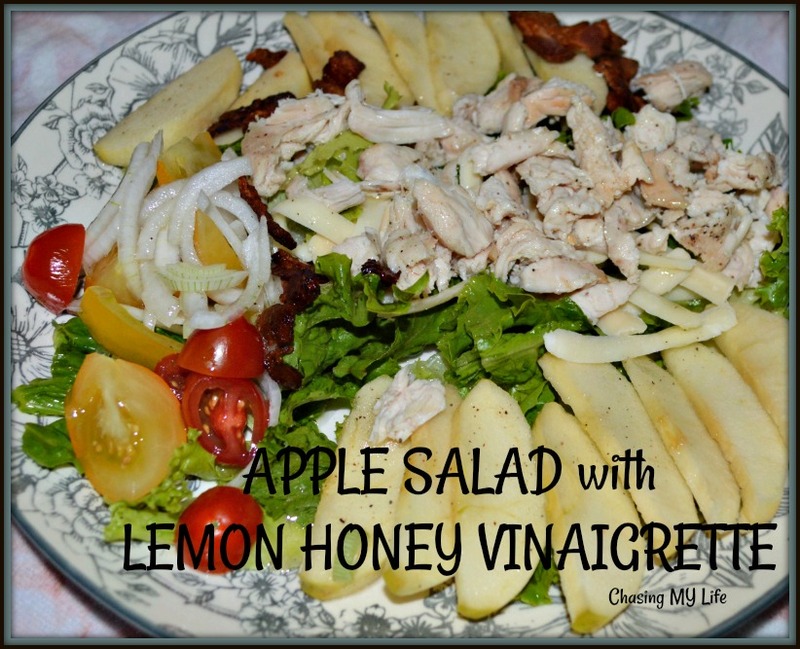 Toss lettuce, onions and apple together.